and our checkered fabric, we pushed the boundaries of our bed design. Today, our blue-check pattern has become the symbol of Hastens' excellence in many parts of the world. So, what's next? Push that boundary one step further, of course. For 166 years, Hastens has been working to bring sleep quality to a higher level. In 1978, we also pushed the limits of what a bed could look like when we launched our iconic blue check. More than a style statement, this pattern is a precise template for the craftsmen who build the bed. The fabric's pattern functions as a template so that our seams and fabric can be perfectly aligned every time. 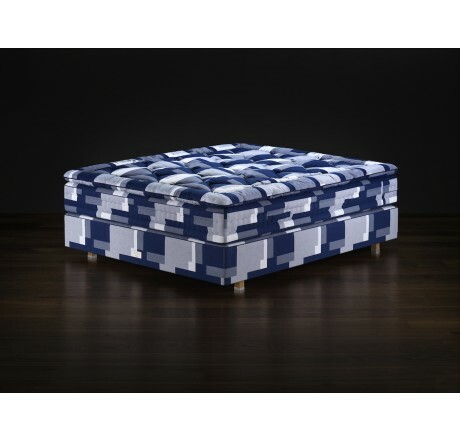 Today, the blue-check pattern has become a well-known symbol of Hastens' unique philosophy: to build a bed that is so in sync with your body at night that it helps make you feel more awake during the day. Because we believe char is the only way to judge the real quality of your sleep. 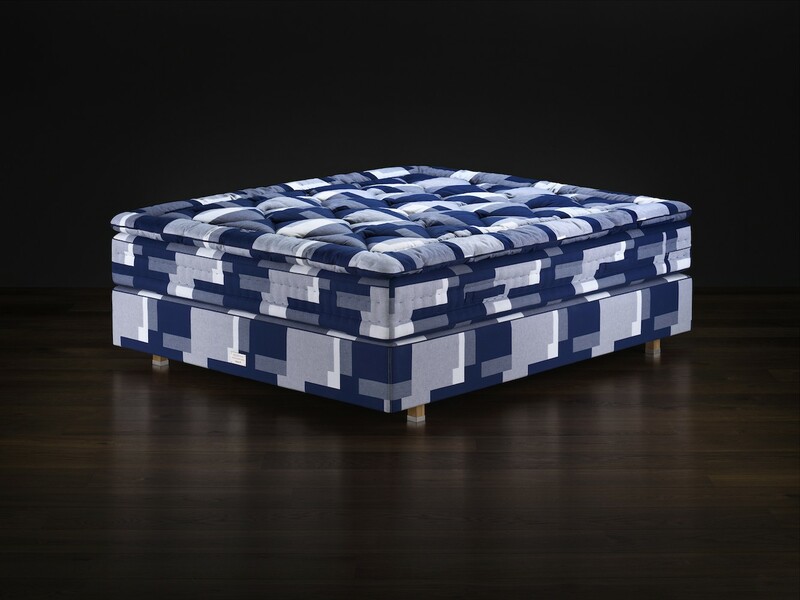 To celebrate its 40th anniversary, we challenged the award-winning design duo Bernadotte & Kylberg to work with us on creating a modern interpretation of the blue-check pattern and to combine this with Hastens 2ooor's extreme quality and sleep comfort. The results exceeded even our expectations and may well be a new classic in 40 years' time. The sophisticated pattern, inspired by Cubism, creates a sense of depth while elevating the per­sonality of the 2000T to a whole new level. This advanced fabric pattern is produced in two layers and required us to develop a completely new weaving technique that we also use on Marwari. The bed is named after the American horse ­breed, Appaloosa, known for its beautiful colors and irregular spots. 2 layers of bolster fabric from exceptionally durable virgin cotton. 4 layers of hand-teased A-lyx horsetail hair. 10 layers of cotton and wool. 1 pocket spring system, 18 cm high, with springs that act individually and never hook into each other. Piping that gives the mattress an elegant shape. Meticulously placed side-stitching, which increases both stability and pliability. 4 robust handles on the long sides to make it easy to turn the mattress. 1 layer of hand-teased A·lyx horsetail hair. 1 pocket spring system, 8 cm high, with springs that act individually and never hook into each other. 1 Bonnell spring system, 13 cm high, with machine· knotted coil springs. 1 personal nameplate (can be engraved as required). YOUR BODY IS UNIQUE. YOUR APPALOOSA CAN BE TOO. You can customize your Hastens bed so that it's just right for you. There are over 20,000 possible combinations. Choose between soft. medium, firm and extra firm. For Appaloosa, there are also custom-designed accessories.